Copyright: The photographer always retains the copyright of his/her image. Kedah International Photography Awards has the right to use your submitted photographs for marketing and promotional purposes directly related to Kedah International Photography Awards only, with the photographer's approval and appropriate citation/credit. Entry fee: Free for Smartphone category. Up to RM1000 for other categories. Who can enter: Open to all photographers, worldwide. the photographs should have the subject of Kedah. Photos must be taken either in Kedah or they are photos of people of Kedah but taken elsewhere. Do you have interesting photos taken during your holidays in Langkawi? Submit them to Kedah International Photography Awards for a chance to win FREE stay at a luxurious resort in Langkawi! 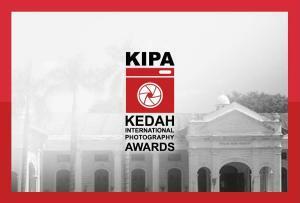 Besides the total value of RM5,000 in cash and prizes, the shortlisted award recipients will be published in the KIPA’s official photo book and take part in a finale exhibition at the Kedah State Art Gallery in Alor Setar, Kedah of Malaysia in December 2013.